One of the challenges in higher education is helping students to achieve academic success while ensuring their personal and vocational needs are fulfilled. 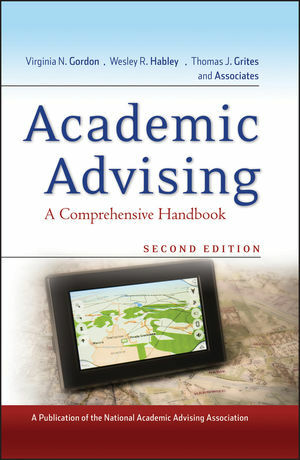 In this updated edition more than thirty experts offer their knowledge in what has become the most comprehensive, classic reference on academic advising. They explore the critical aspects of academic advising and provide insights for full-time advisors, counselors, and those who oversee student advising or have daily contact with advisors and students. New case studies demonstrate how advising practices have been put to use. Virginia N. Gordon is assistant dean emeritus and adjunct associate professor at The Ohio State University. She is author of Career Advising from Jossey-Bass. Wesley R. Habley directs the American College Testing (ACT) Center for the Enhancement of Educational Practices in Iowa City, Iowa. Thomas J. Grites is assistant to provost at the Richard Stockton of New Jersey in Pomona, New Jersey.